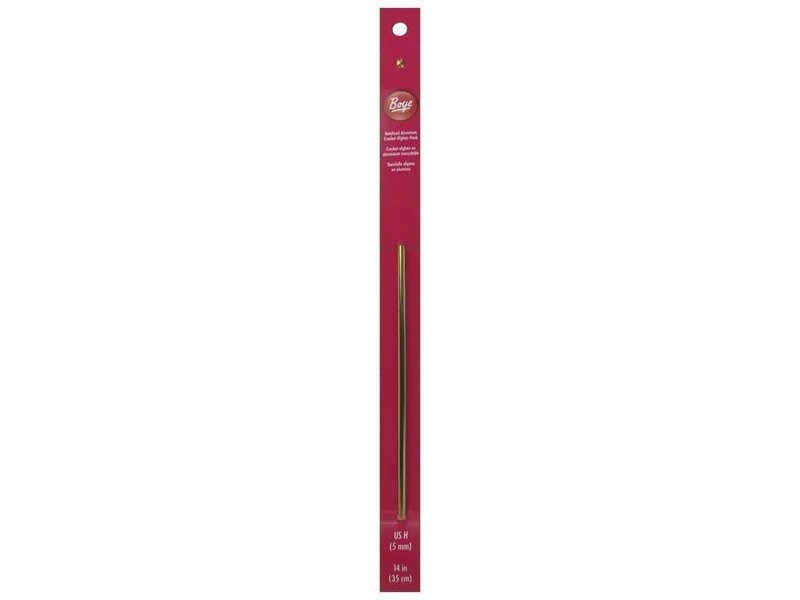 Description: Boye Aluminum Tunisian Afghan Crochet Hooks feature the preferred taper throat and smooth rounded head. Precision-crafted quality assures a fine finish and accuracy of gauge. Perfect for Tunisian, Tricot Crochet and Shepherd's Knitting techniques. 14 inch. Size H (5 mm). See more Boye Tunisian Afghan Crochet Hooks 14 in..